After a sharp rise at the end of 2018 and the beginning of 2019 GBP sank more than 350 points against USD over the past week. The catalyst for growth was a significant strengthening of the US dollar due to the growth of investor interest and weak macroeconomic releases from the UK. Yesterday, the pair was trading at the lows of 1.2900, 1.2850 in view of the publication of the Bank of England minutes, the decision on interest rates, the regulator's comments on inflation and monetary policy. The key rate and volume of the asset purchase program remained the same, which could be an impetus for further decline. But Mark Carney’s comments on the possible economic consequences of Brexit have supported the pound. Subsequently, the pair moved to lateral consolidation. The pair remains within a wide mid-term upward channel, being at its lower border. 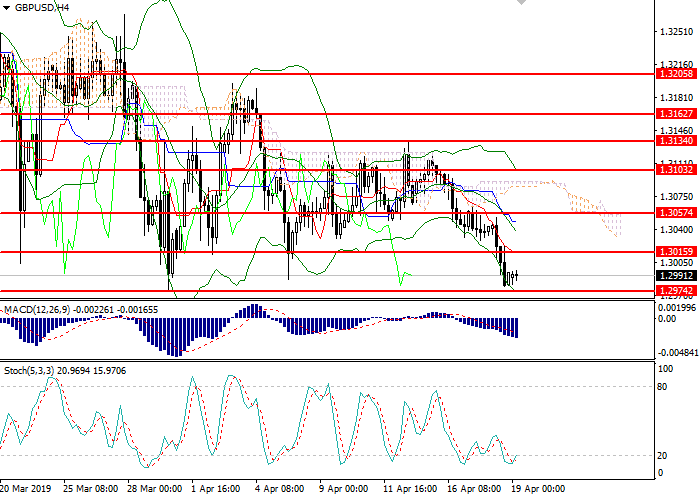 The main scenario is to maintain the momentum of the downward movement to 1.2785, 1.2720, 1.2660. The pound is affected by a tense political situation in the United Kingdom, lower inflation, and an economic contraction amid Brexit. An alternative scenario would be the consolidation of the pair above 1.2950, a movement to the lateral channel and resumed growth. Technical indicators confirm a decline: MACD indicates the preservation of the volume of short positions, and Bollinger Bands are pointing down. Support levels: 1.2900, 1.2850, 1.2830, 1.2785, 1.2720, 1.2660, 1.2620. Resistance levels: 1.2975, 1.3000, 1.3050, 1.3100, 1.3130, 1.3150, 1.3215. 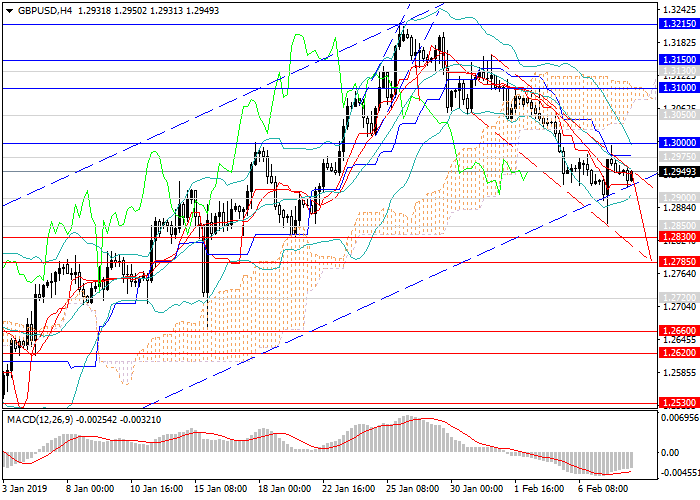 Short positions may be opened from the current level with targets at 1.2850, 1.2830, 1.2785 and stop loss at 1.3030.